Rich in essential oils, pungent and peppery, this is what we call all-purpose oregano. A staple of Mediterranean cookery. Comparable to Greek oregano. A robust and aromatic oregano unlike its Mediterranean counterpart. Delightful in black bean soups and in quesadillas. A classic herb, indispensable in countless cuisines around the world. Our cool and sweet peppermint comes from a small farm at the foothills of Mount Minthi, not far from the fields where the plant gained its name in antiquity. Hand-harvested at the peak of their potency from a family farm on the mountains of Epirus, our rosemary leaves are thick, bold and beautiful with a pleasant piney flavor. Rich and rustic with a delightful perfume. 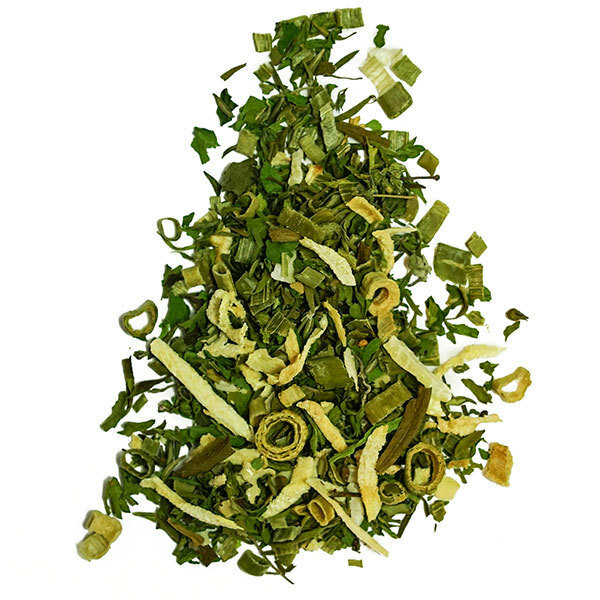 Our freeze-dried rosemary leaves are tender and more delicate than conventional rosemary. The aroma of this herb is simple and honest and comes from the sunny hills of Provence. Gentle, fresh and flowery, this sage brings a balance to strong flavors such as poultry, pork roast and herbed butter. Handpicked from a small farm in Crete. Our top-quality sage is imported from Turkey, well-known for exporting flavorful herbs. Perfect for any recipe that calls for sage. An herb with a peppery flavor like thyme. Perfect for homemade herbal blends or for seasoning legumes. A deeply fragrant herb that can be used alone or in a blend. Put it in leek soup, remoulade, rabbit in mustard or just put it in a dressing for green salad. Harvested in Quebec and dried in-house, this tarragon is ideal for seasoning salad dressings, soups and egg dishes. The potent fragrance of this Provence-grown herb livens recipes with the authentic taste of the Mediterranean. This thyme is picked at the end of summer when the first cool night draws out its full flavors. The distinctive rocky soil of Chios gives to this genuine Greek oregano its unique flavor. The best wild oregano Greece has to offer. Extremely aromatic, slightly lemony, with a peppery side.